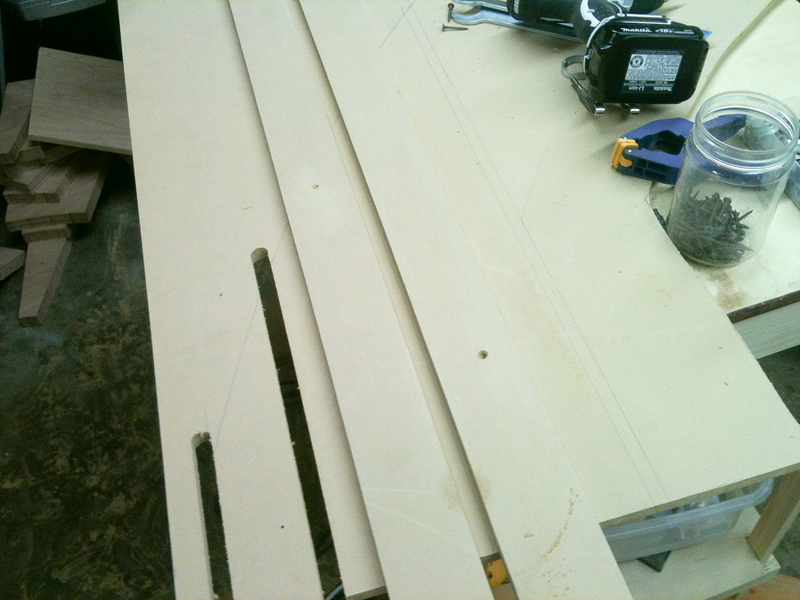 I want to make a full size router template to cut the rabbets for the vertical supports. 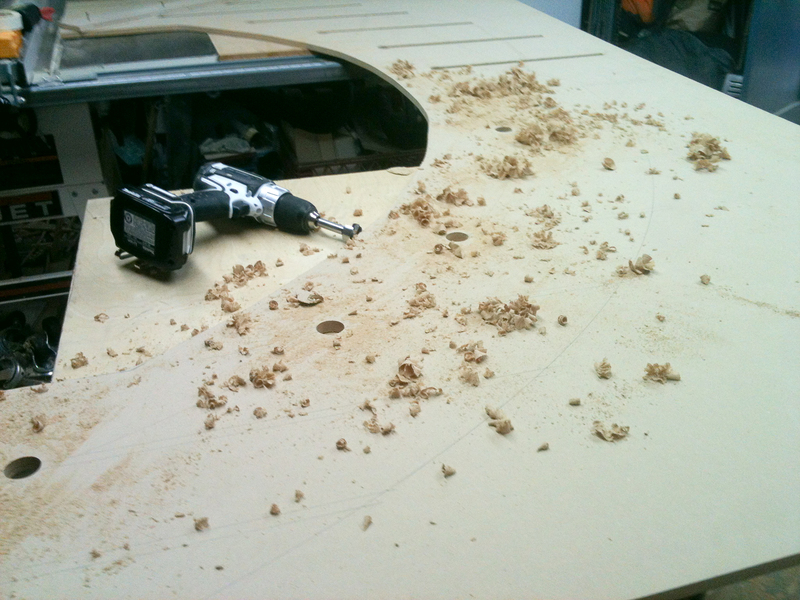 This is a good job for the CNC router, but its raining this week and the CNC machine is booked today, so… I make a few trips to the hardware store and make the full-size template in the garage. First I make a 3/4 inch router template. This is basically one long 6 inch wide by 4 foot long piece of MDF with a 3’4 inch cut in the middle. I use this router template and a 1/2 inch trim straight bit to cut each of the 14 router cuts in the full size router template. When I’m done I will use a 3/4 inch collet and a 1/2 inch straight bit to cut each of the 14 rabbets with one setup on each of the verticals. When it comes time to assemble the verticals I will have a left and right side mated to each other to form a single 1 inch vertical. This design increases costs a bit, but keeps material handling much more manageable. (Lugging full 1 inch 4×8 sheets of plywood is not fun.) Also, the original idea was to do a lot of cutting on the CNC router, which can only cut on one side at a time, so… routing on both sides of one vertical would mean 2 setups for each vertical. One full size routing template can be flipped over to rout on the other side. Now that the template is done, setup and cutting in the garage should be even faster than setup and cutting on the CNC router. I have 2 more cuts to complete the full size template and then I can test all of this tomorrow.